air joe is proud to serve the Westmont community! We are proud to be a part of this community, serving your heating and air conditioning needs: air joe is listed in many directories under titles such as : Westmont Heating Contractors, Westmont Heating, Westmont Air Conditioning, Heating Repair, Air Conditioning Repair, Westmont Heating and Cooling Contractors, Rooftop HVAC Repair, Ductless AC Systems, Boiler Repair and Westmont Heating and Air Conditioning Contractors. We are here for you whether you need furnace or air conditioner repairs, heating and cooling estimates, equipment replacement or new installation of a furnace, air conditioner, heat pump, rooftop heating and cooling or comfort products to improve the air filtration for your home or business. About Westmont, IL - Happy to be your hometown Heating & Air Conditioning Contractor! 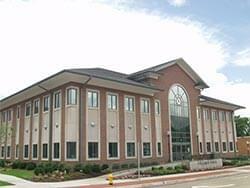 Westmont is an Illinois city located in DuPage County, and as of 2010, the population was nearly 25,000. It is located about 18 miles from the Chicago Loop, and it is found on the outskirts of Chicago’s metropolitan area. Many residents who live in Westmont actually work in Chicago, as there is a Metra station located in this city that provides daily service to both Chicago and Aurora. The climate of the Westmont area consists of four seasons, and while winters are snowy and cold, the summer months are typically very hot and humid. Visitors and residents alike can enjoy a variety of attractions and activities in Westmont. Sports enthusiasts will enjoy visiting Westmont, as they may like to visit the Twin Lakes Golf Course or Westmont Yard Indoor Sports Complex. For individuals who are looking for unique shopping destinations, China Furniture and Arts is a great place to check out, and outdoor areas in Westmont include Ty Warner Park.